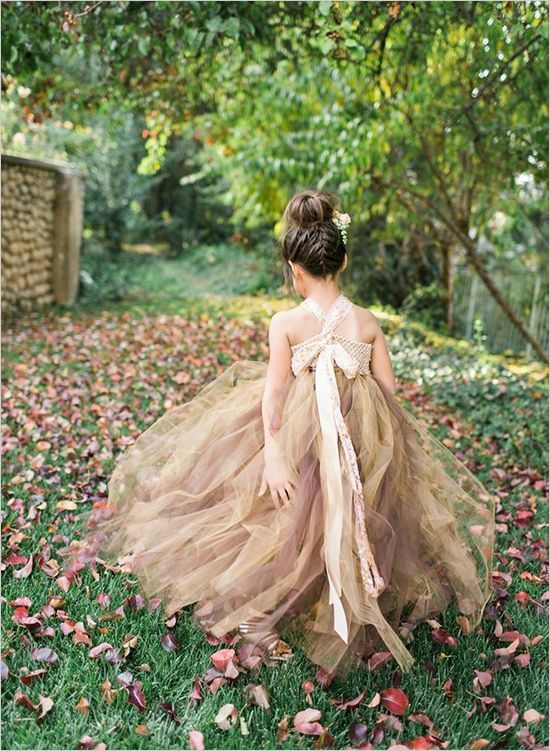 Preparations for the fall wedding season are in full swing now, so today I’m gonna inspire those of you who are choosing flower girl dresses. 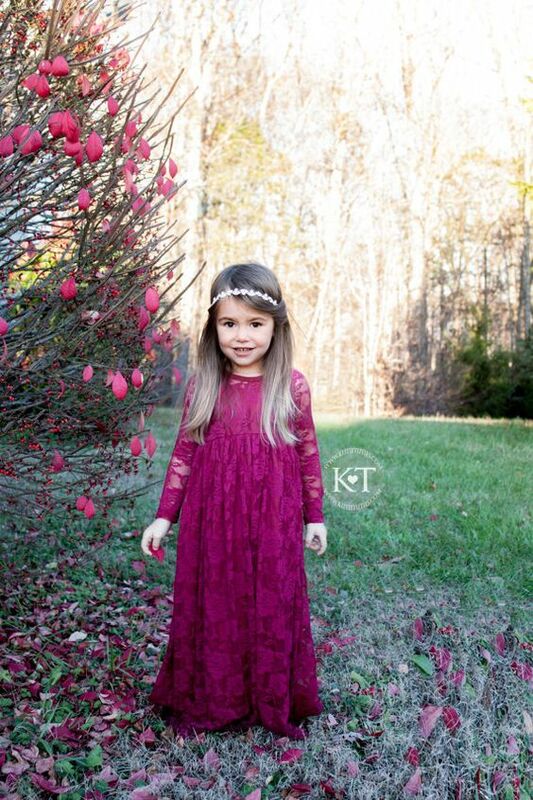 A lace dress is the most popular clothes for any flower girl in any season, so you can choose some adorable ones to rock. 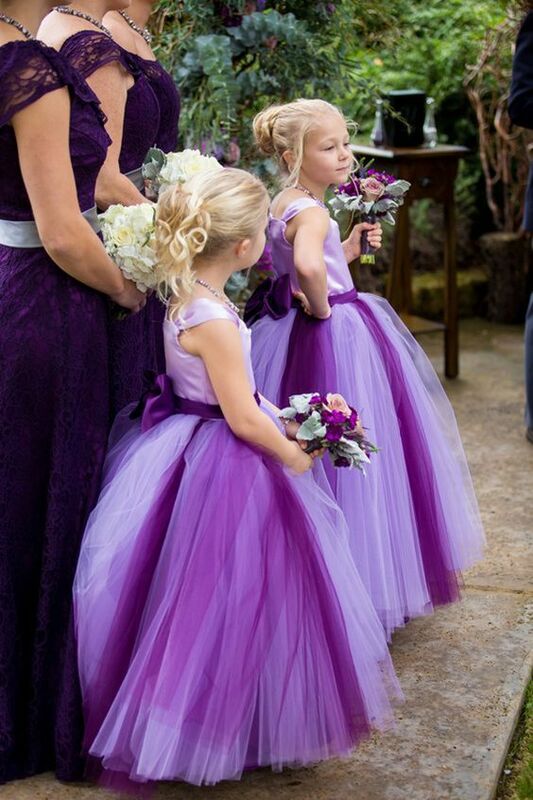 Most of such dresses are white or ivory but you can also find purple or burgundy ones for the fall. 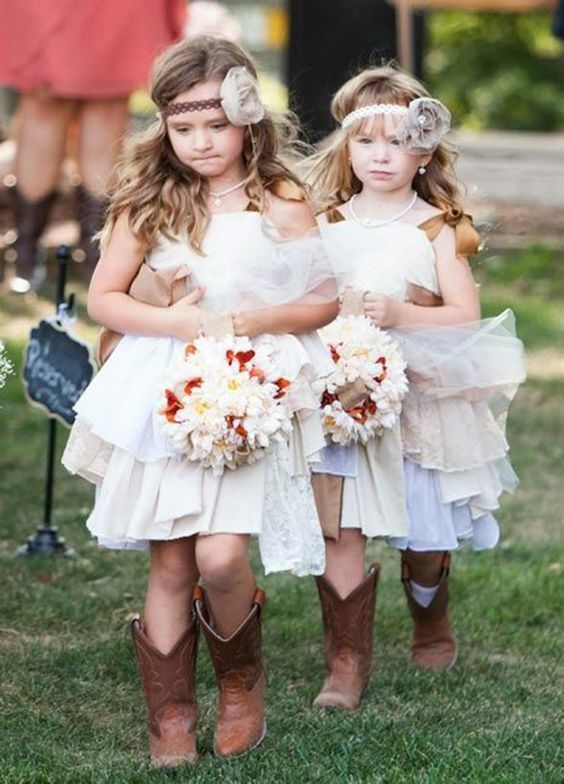 If you’ve chosen white lace dresses, how will you give your girls a fall flavor? 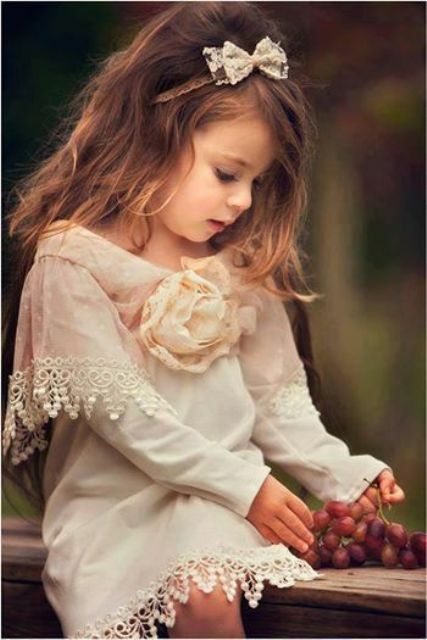 Easily! 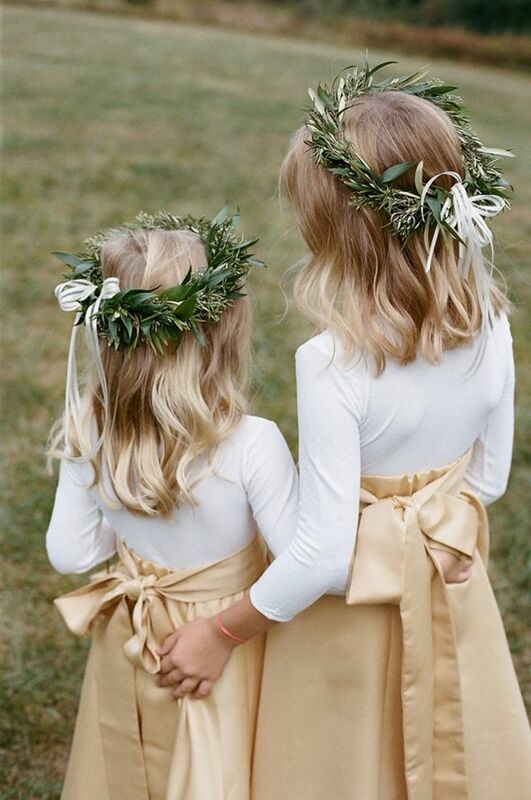 Order bold flower and greenery crowns and give them bright flowers. 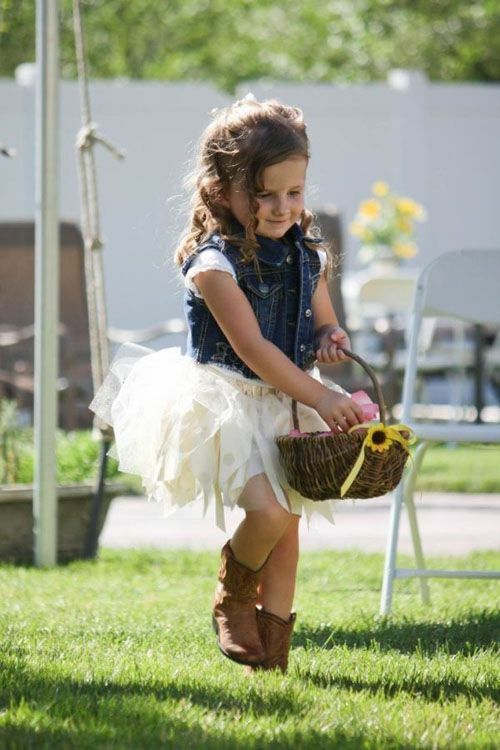 If it’s a rustic wedding, don’t hesitate to pair a dress with a denim jacket or vest and boots. 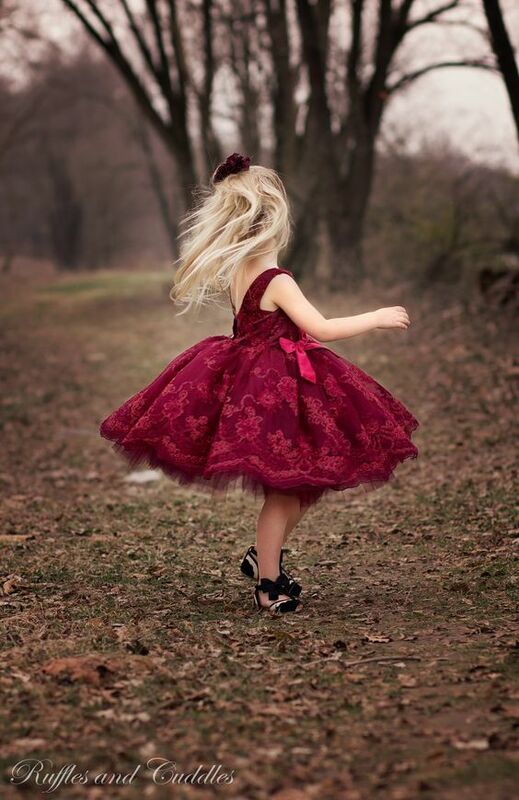 A tutu skirt is a cool piece that add a girlish touch to any outfit. 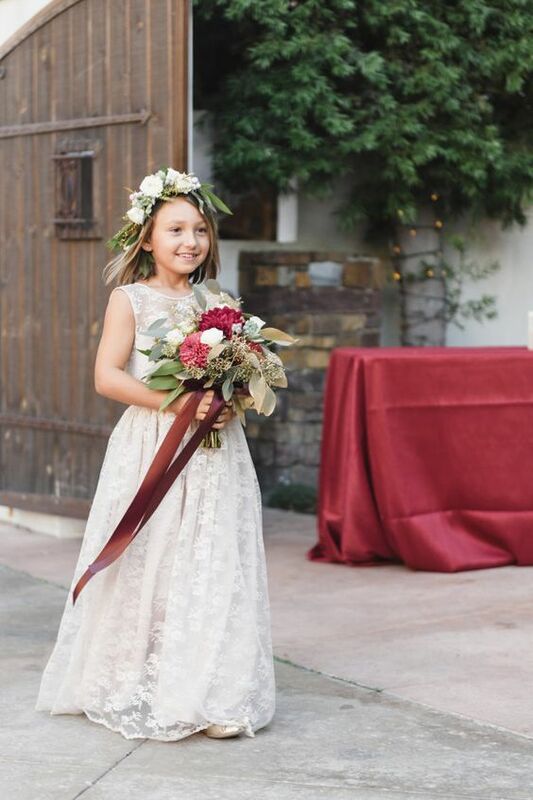 Choose a cool lace top or a sequin one to shine bright and some bold and whimsy shoes, and you fall flower girls will sparkle. 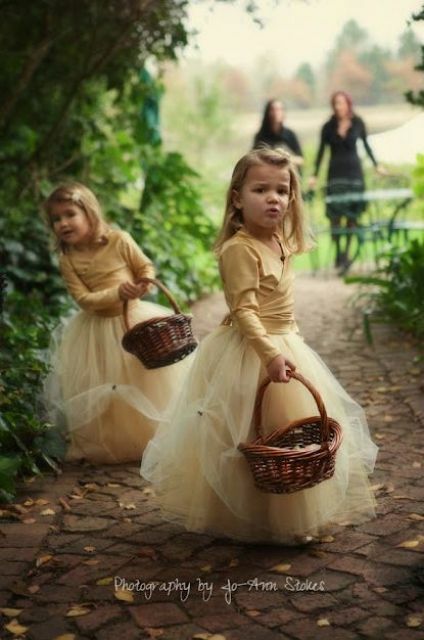 If it’s chilly, warm up your girls with comfy cardigans paired with tutu skirts. 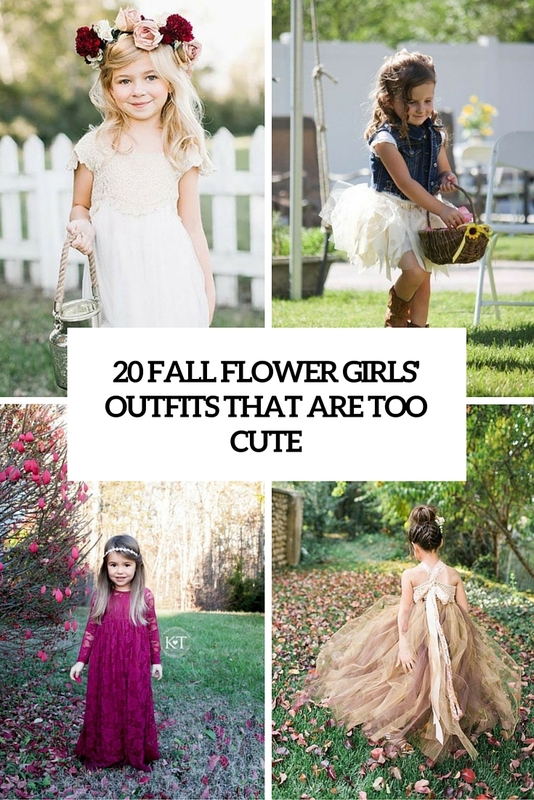 Usual maxi skirts will make your girls look like adults, which is very cool. 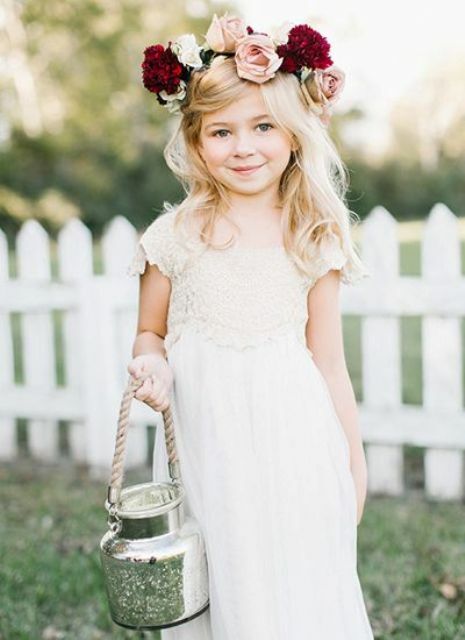 Add white shirts and bold crowns to get a super stylish look. 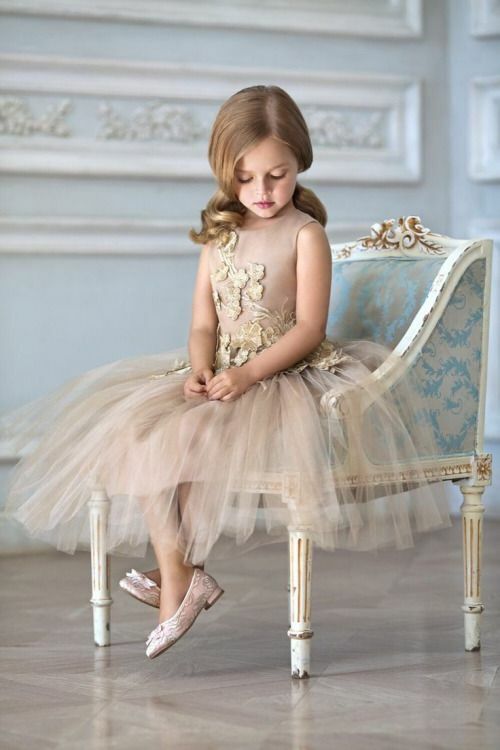 A tutu dress is the most popular choice for the smallest flower girls, they look oh-so-cute in them! 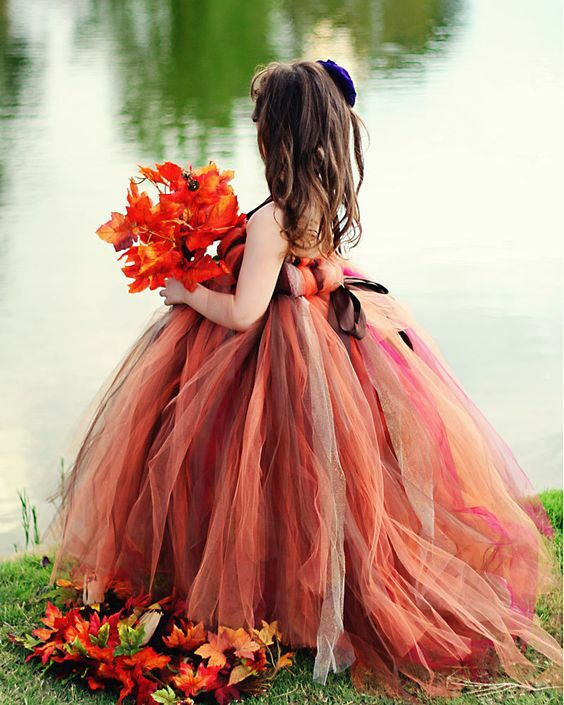 as it’s fall, rock some autumn colors like brown, orange, shades of red and yellow or maybe gold. 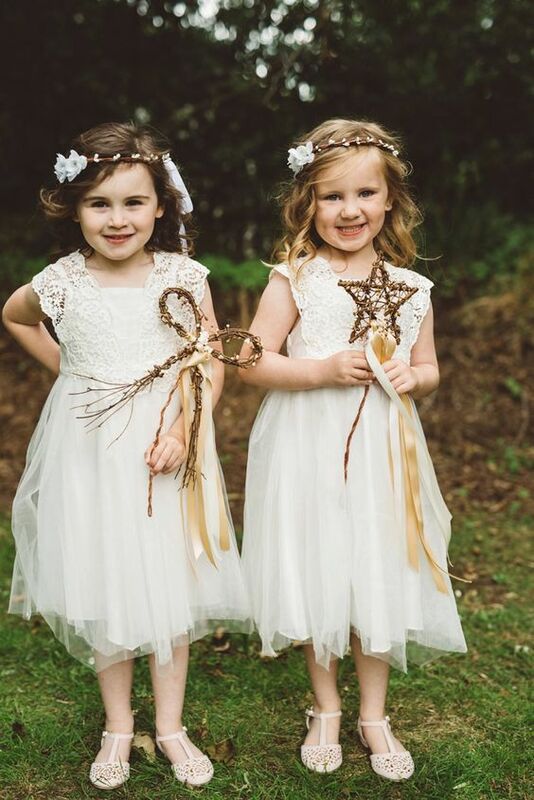 Give your flower girls colorful fall leaves or crowns and add comfy shoes. 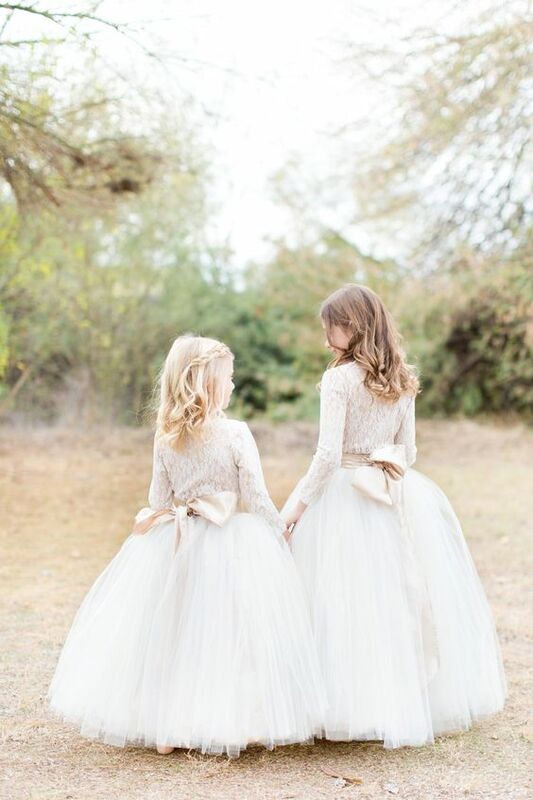 Here’s a couple of different dresses that are also cool for a fall wedding.